Raaga.com: If Salman Khan can get leniency than why not common man have such mercy? If Salman Khan can get leniency than why not common man have such mercy? 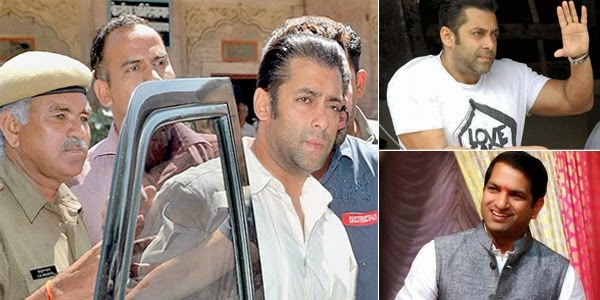 Eyebrows have been raised by right wing activists and the media about ‘Special Treatment’ being meted out to DABANGG actor Salman Khan ever since he secured Interim Bail within few hours and reached home, mocking at the Indian Judicial System. While there have been multiple debates condemning the Indian Judicial System and how powerful celebrities turn the tides in their favor by bribing or finding loopholes in the system, a Mumbai advocate disturbed by the disparity in the Indian Judicial System has actually dared to challenge the interim bail granted by the Bombay High Court to Salman Khan. The advocate Akhilesh Chaube filed a petition in the Supreme Court against the interim bail granted to the actor on Thursday and has sought cancellation of the two-day bail granted to Salman Khan. According to many renowned advocates Salman Khan has definitely played his cards shrewdly by immediately hiring India’s most expensive and proficient advocate Harish Salve after being found guilty. Salve with his mastery instantaneously got him bail on technical grounds finding loopholes in the system. Likewise special public prosecutor Ujjwal Nikam, who fought the famous Mumbai Blast Case, agreed that Salman Khan’s case is a special case and there have been special circumstances to grant such relief. However he said that it is a rarest of rare case as very few people are given such relief. He cited the example of former Maharashtra minister, Gulabrao Deokar, who despite being a minister, was not given special privilege as given to Salman Khan! Thus advocate Akhilesh Chaube’s plea to SC seeking a Salman Khan kind treatment for the common man looks justified, even though it may fall on deaf ears!! In nutshell Akhilesh Chaube is at least better than those so-called intellectuals who just keep debating rather than doing something concrete! !